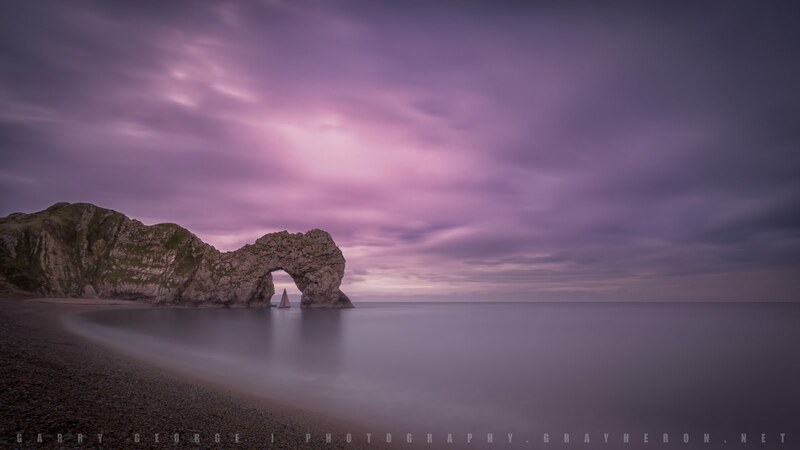 Grayheron Photography: ...and what about diffraction? 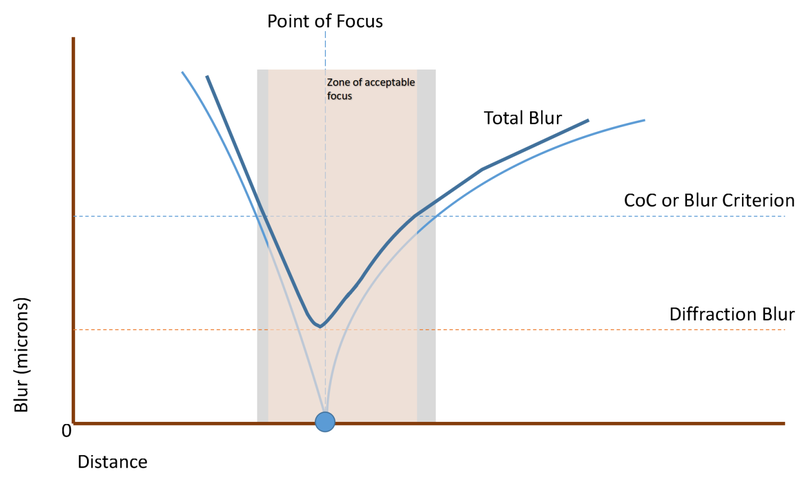 In this post I'll carry on talking about focusing with the focus bar script and introduce the diffraction blur. Without any equations, the diffraction may be considered a fixed blur that degrades focus across the image and into the scene. 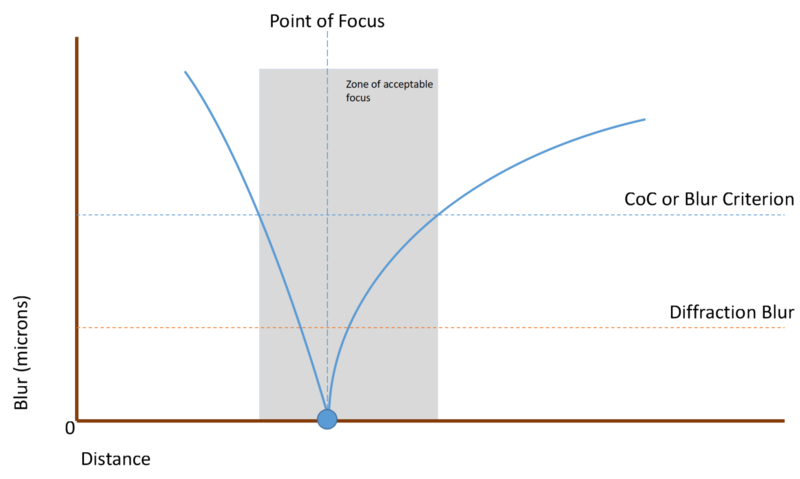 The only camera variable that impacts diffraction is the aperture. 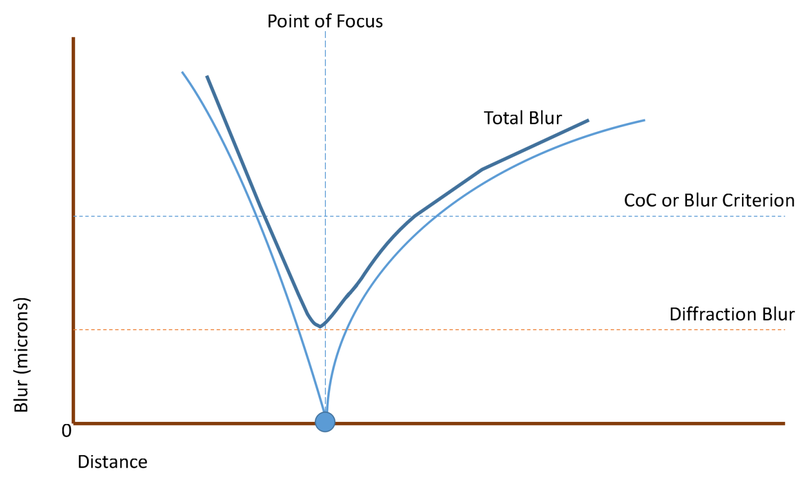 The smaller the aperture, the more diffraction blur will occur. 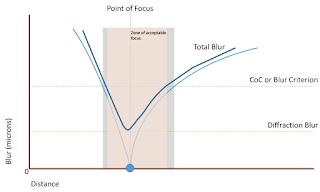 We now see two blurs that are degrading the image and reducing the depth of field: the defocus blur (still showing the defocus only depth of field), which varies with focus, aperture, focal length and the CoC; and the diffraction blur, which only varies with aperture. 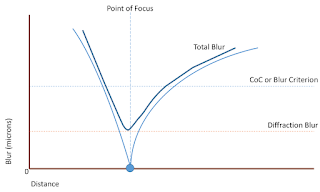 As mentioned in previous posts, these two blurs are added in quadrature, that is the root mean square or: Total_Blur = SQRT(Defocus_Blur^2 + Diffraction_Blur^2). In other words the depth of field has 'shrunk' and the blur at the point of focus will not be less than the diffraction blur. Bottom line: The last two posts have discussed the two contributions to depth of field and achieving tact sharp images. 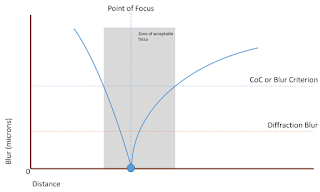 The focus bar manages both diffraction and defocus, and allows you to find the optimum focus.